Post news Report RSS	Birthday Party for Pitman! It's 7-Day-Roguelike time! Everyone can be part of this great roguelike game jam, which is awesome for being motivated and making a complete game in one week. PITMAN was our entry last year and we want to celebrate this birthday with a 66% discount on the game and little specials about us, PITMAN and indies on our website. 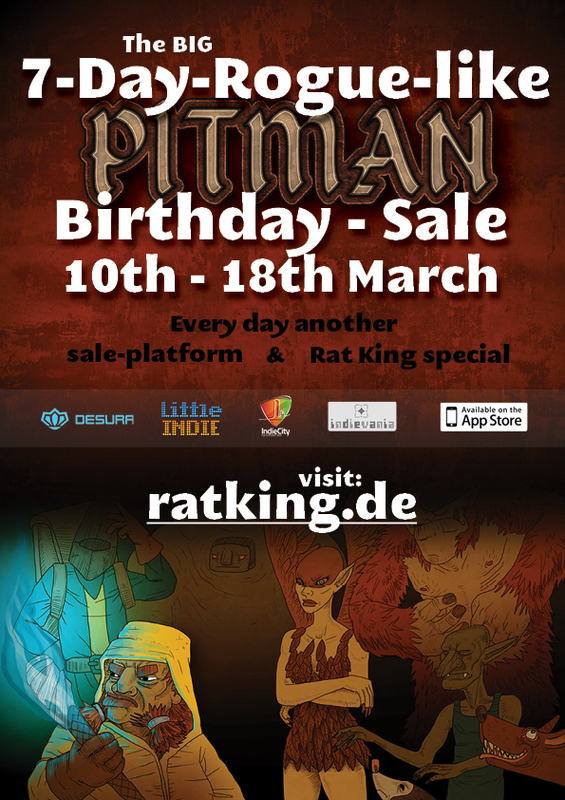 Just visit ratking.de and get to know which sale platform is currently the one to give you a discount on PITMAN!